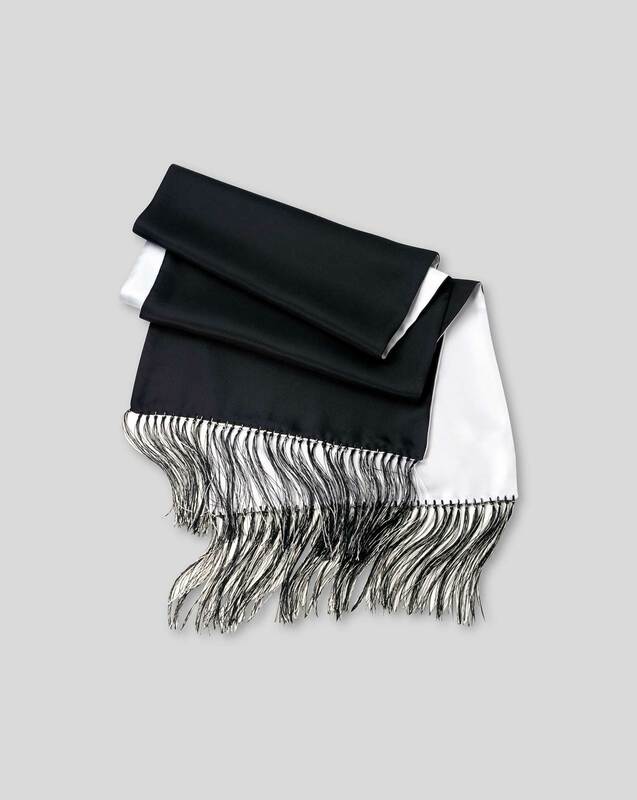 "This luxurious white and black reversible silk scarf gives your black tie attire a stylish finishing flourish." Response from Charles Tyrwhitt: Offering a perfect mix of quality and value is paramount for us here at Charles Tyrwhitt, so it's most disappointing to see we may have missed the mark on this occasion. We appreciate your feedback on it and will ensure your comments are passed through to further review.